One option community banks might consider to deal with the increasing reliance on consultants and the concern about service provider responsiveness is confederation. Confederation describes a type of organization which consolidates authority from other independent and autonomous bodies. In the community bank context, it might be a central organization that uses the collective leverage of its members to drive down consultant costs, be a clearinghouse for compliance solutions, or possibly promote standardized compliance solutions among its members. A confederation has the potential to use its muscle to improve servicer responsiveness or, in some cases, potentially replace vendors entirely and provide those services to members on a not-for-profit basis. 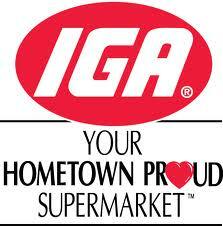 One example of a confederation in another industry is the Independent Grocers Alliance (IGA). The Independent Grocers Alliance was started in May 1926 when a group of 100 independent retailers organized themselves into a single marketing system. Contrasting with the big chain grocery store business model, IGA operates through stores that are owned separately from the brand. But like the big chain stores, IGA provided their local members with common branding, technical support, a distribution network, and the leverage of the consolidated buying power of its members. It has expanded into the world's largest voluntary supermarket chain with more than 5,000 member stores worldwide. To varying degrees and in many respects, banking trade associations have taken many of the steps toward stronger confederation among community banks. Some have subsidiaries that provide compliance management consulting services and certain vendor platforms. But as the comments made by these nine community bankers seem to indicate, there are opportunities for further advancement. Maybe turning down the volume of the seemingly interminable anti-credit union histrionics and channeling it into exploring these opportunities might be a more valued use of banking trade association resources.